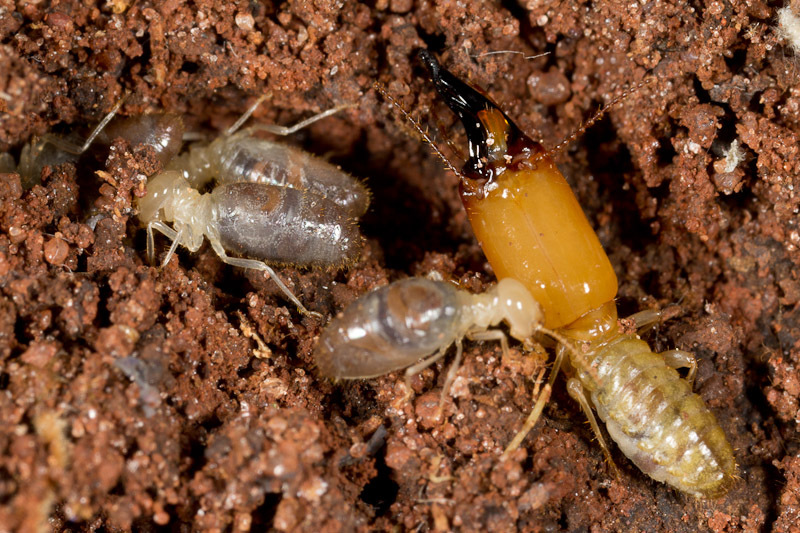 Just after dark, termites started emerging from below ground. Here they appear to be excavating. The darker soil has been brought up from below by workers while guards form a defensive perimeter. 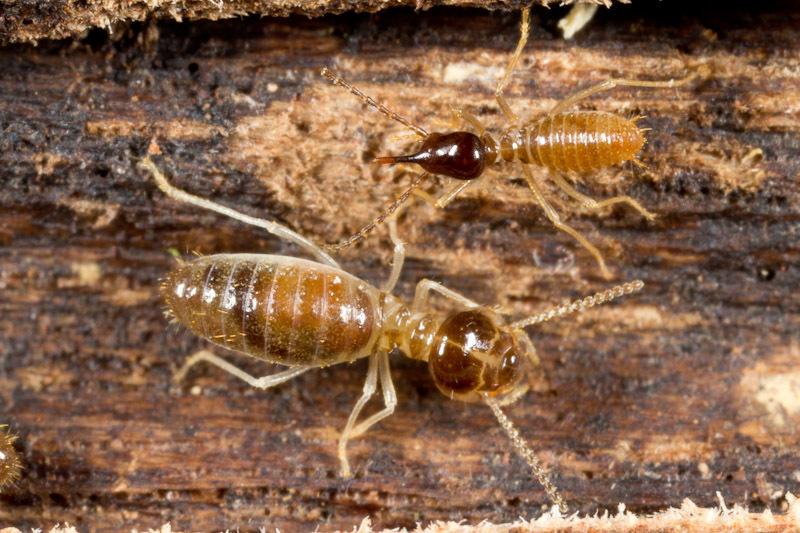 As promised in my last post, here are some termites where the soldiers are much larger than the workers. Large is relative though, since although they are twice the size of the workers, these soldiers still only measure one centimeter. 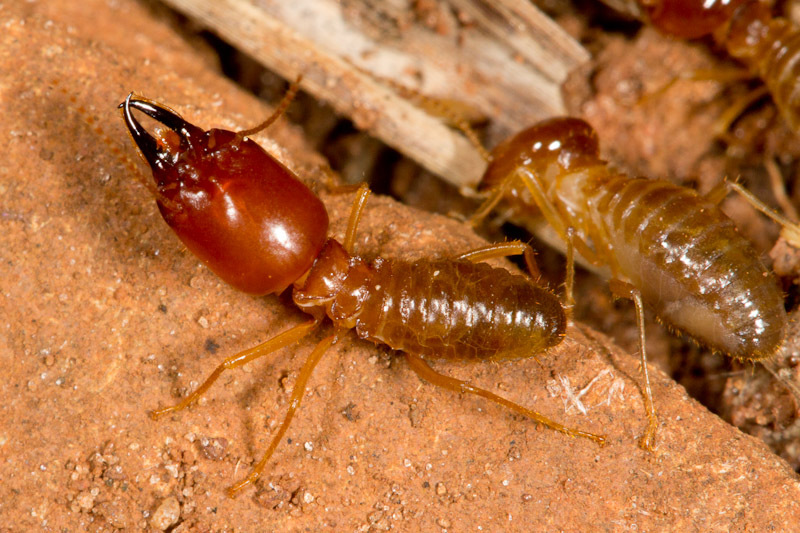 Previously, I showed you some termites where the soldiers and workers were about the same size. Here, the soldier (at top) is actually smaller. 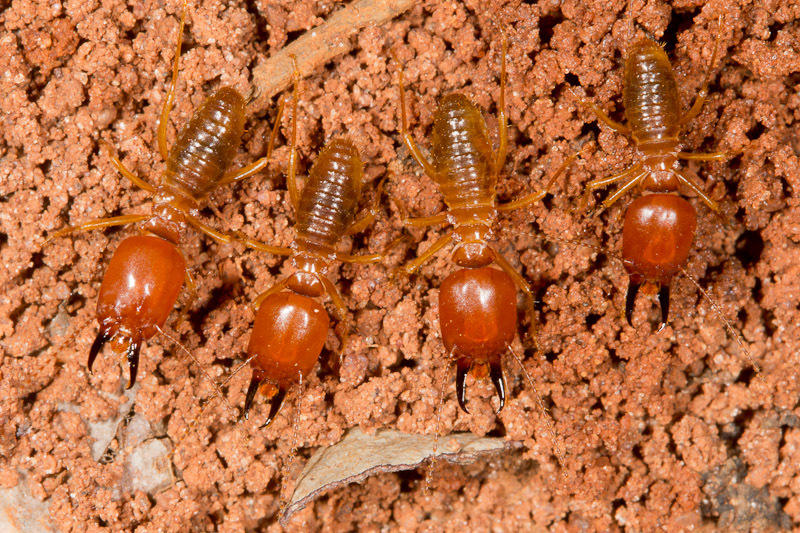 Termites in the subfamily Nasutitermitinae, like these, have soldiers called nasutes. Nasutes don’t need to be big because they don’t rely on strength. Instead, they have specialized snouts for spraying a defensive substance. 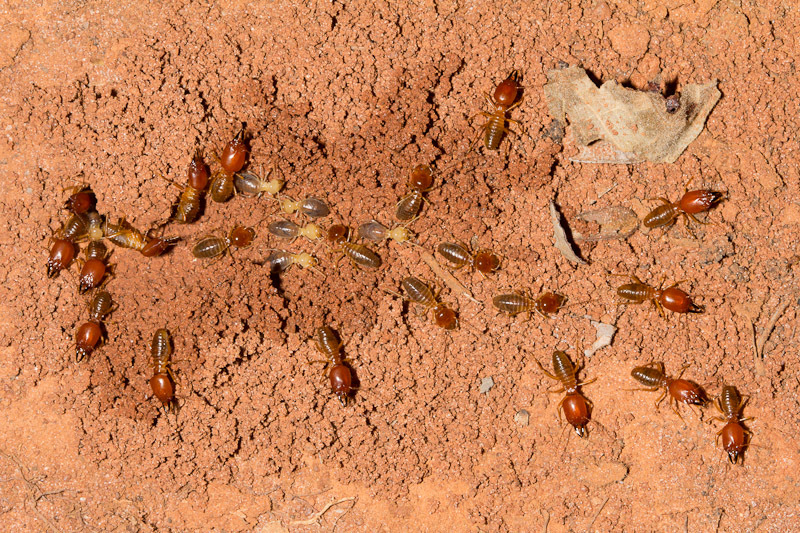 A phalanx of termite soldiers forms a first line of defense in front of foraging workers (not shown). I accidentally breathed on them shortly after this shot and they all quickly retreated. 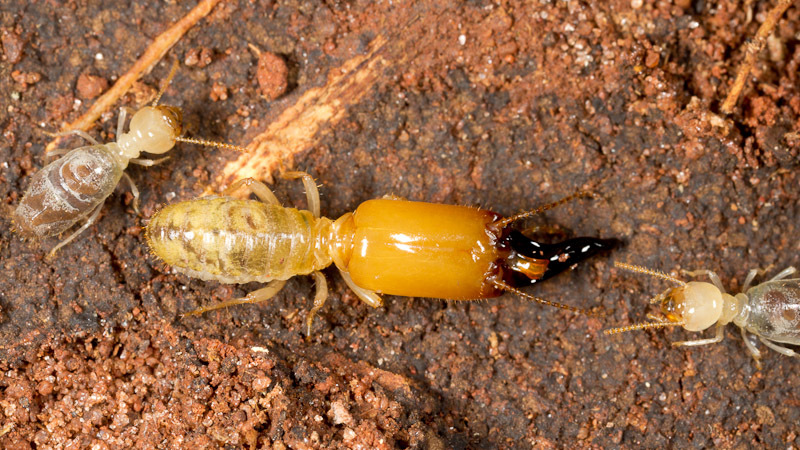 I generally overlook termites, but this trip I decided I’d change that. These were the first ones I found. They were busy pulling grains underground. Now that I’ve been paying attention, I can see there’s quite a variety. 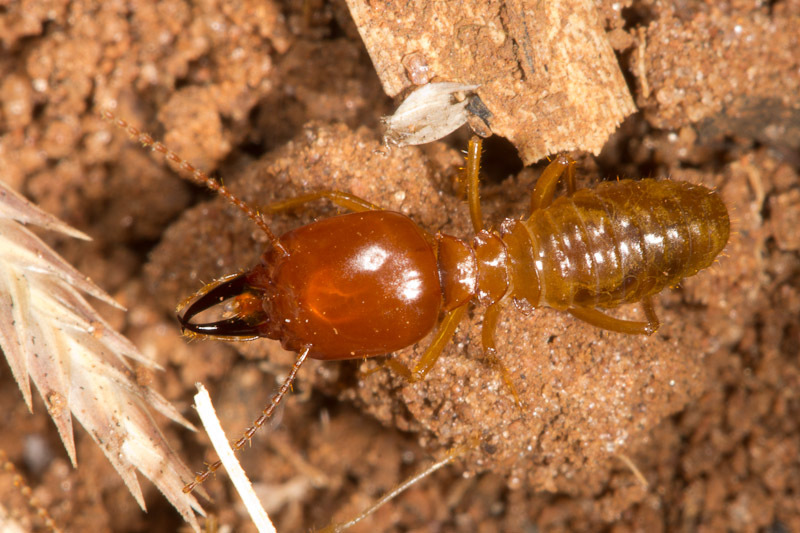 In this species, the soldiers and the workers are about the same size.